Woo hoo it is new catalogue time!! I love this time of year when there is such a buzz about new product - it's like Christmas morning! 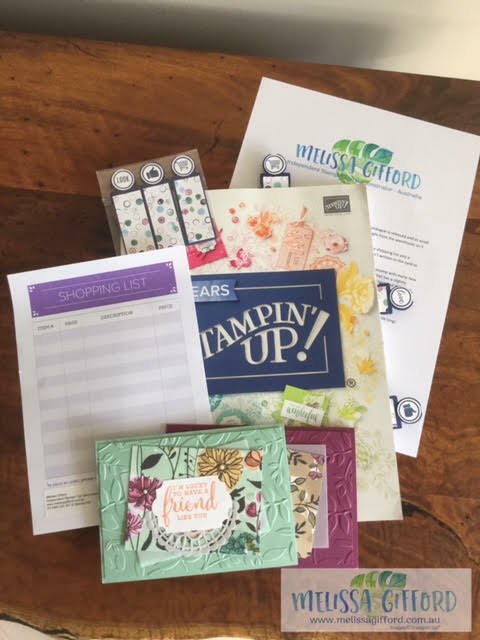 But I still wanted to send a little something from me so this is what I came up with - a handmade card, a shopping list, mini bookmarks (the idea came from scrimpingmommy) I was so excited to be able to use some of the new items that we could pre-order as demonstrators. There is so much to get excited about. Please let me know if you don't already have a demonstrator, I would be more than happy to send you a catalogue. But remember that with the new catalogue arriving, the old catalogues must retire. Some items are carrying over but a lot are not - especially the designer series papers and the ribbon. This year with the colour revamp there are alot of colours retiring so make sure you get inkpads, ink refills and cardstock if your favourite colour/s are leaving. 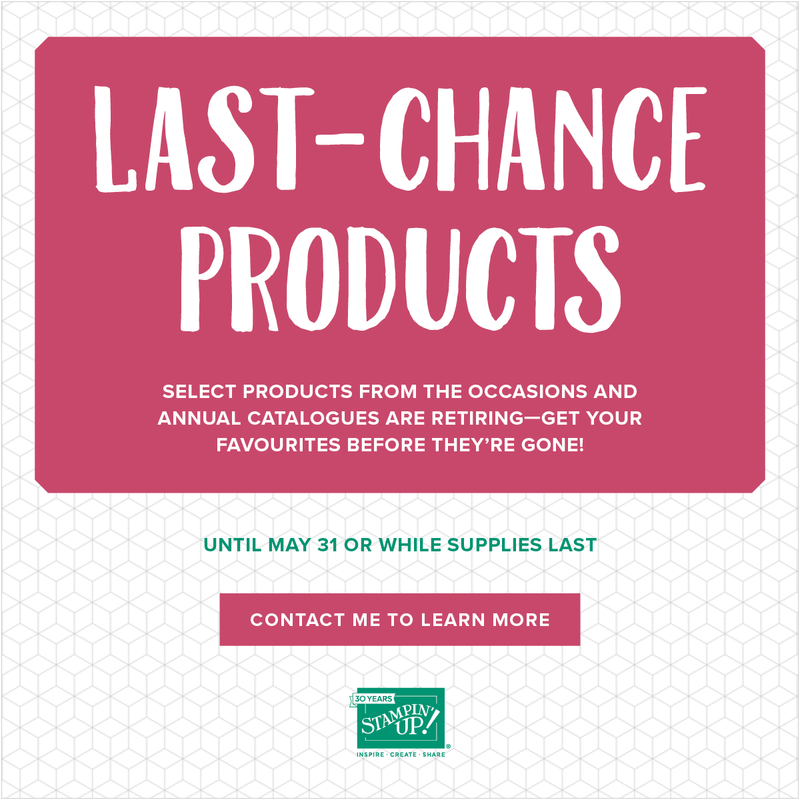 Some items have already run out and the sale finishes 31st May 2018.